Basil is a blessing in disguise for the rest of the world but for most of the traditional Indian families, every day begins with the blessing of Lord Krishna through Basil leaves. This holy plant is being worshipped by the Hindus in India since thousands of years and is a familiar thing to find a Basil or Tulsi plant in every home. It is known to the world of medicine as a digestive tonic, respiratory aid, anti-depressant, pain reliever, skin care agent, immune stimulant and as a symbol of divinity. Valued as an emblem of sacredness, purification, love, protection, eternity, respect and good luck, Basil is used in Ayurvedic preparations for more than 5,000 years. It is lovingly called as Tulsi in Hindi and Surasa in Sanskrit and has been a vital part of Ayurvedic healing of a plethora of illnesses. The most notable among them are nervous tension, constipation, rheumatism, whooping cough, asthma, sinus congestion, bronchitis, stress, bruises, diabetes, fever, poor memory, poisonous bites and stings, acne and kidney disorders. Popularly known as the ‘Queen of herbs’ in Ayurveda, Basil is botanically called as Ocimum sanctum. It is grown throughout the world for its spiritual and medicinal uses. Highly regarded as a symbol of ‘Good luck charm’, Basil plant has myriad references in the history of world medicine. Basil plant has been talked about in the ancient sacred books like Rig Veda and in the Ayurvedic texts including Charaka Samhita. Respected as an elixir of life in Ayurveda, this plant is said to pave way to absolute balance and longevity for its enormous medicinal values. The oldest historical mention of Basil leaves is in the ancient Hindu mythology, where Basil or Tulsi plant is said to symbolize Vishnupriya, the wife of Lord Vishnu and the incarnation of Goddess Lakshmi. God Vishnu is honored with the garland made with Basil leaves. Few other sources state that Tulsi is trusted as a form of Goddess Tulsi and this plant is considered as a symbol of blessedness because it is believed to have grown from the ashes of Goddess Tulsi. Basil plant is worshipped by the married Hindu women in India for being blessed with the faithfulness of Goddess Tulsi. Known as Bacia-nicola (meaning kiss me Nicholas) in Italy, Basil is regarded as a representation of love and luck and is said to attract man to his lady love. It was used in the ancient Greece in the crowning ceremonies of Kings for purification. Besides its medicinal values, Basil leaves are also used for culinary purposes for its strong aroma and astringent flavor, especially in Asian cooking. The seeds and leaves of this plant are used in the preparation of an herbal tea, which is said to gift good health and fortune. The native populace of the Indian subcontinent including the Himalayan areas generally grind the leaves and seeds of Basil plant and blend this with Safflower (Carthamus tinctorius), Katuka (Picrorhiza kurroa), Bel Fruit (Aegle marmelos), Sugandi root (Hemidesmus indicus), and Blue Lotus (Nelumbo nucifera). This herbal mixture is then smoked for persuading the vision and dreams. The tribal population in Australia has reported the use of Basil leaves in the preparation of an herbal tea for supporting the system as a tonic for treating fever, respiratory problems and few other illnesses. The essential oil extracted from Basil leaves also finds its use in the field of herbal cosmetics and in the treatment of skin disorders and numerous other illnesses. The remedial values of Basil oil are cephalic, antifungal, diaphoretic, anti-asthmatic, emmenagogue, antispasmodic, antiseptic, anti-cancer, antidote, anti-oxidant, diuretic, anti-fertility, expectorant, anti-diabetic, anti-malarial, hepatoprotective and anti-inflammatory. The primary chemical components of Basil oil are eugenol, ursolic acid, b-caryophyllene, linalool, oleanolic acid, carvacrol, germacrone D, b-elemene and linolenic acid. Vitamin A, vitamin C, iron, zinc, potassium, calcium and magnesium are few among its nutritional constituents. Adorably called as Tulsi in India, Basil is the most respected and often talked about herb in the history of Ayurveda. With its divine aroma and holiness, Tulsi is esteemed high for its healing values. These holy leaves are chewed daily in the morning after performing the ritual prayers for cleansing the system, stimulating metabolic functions, supporting the respiratory functions and strengthening the immune system. Ayurveda is by far the pioneer of the medicinal world with more than 5,000 years of promising existence. It has its roots vested with the ancient India, where its origin has been referred to Atharvaveda, one among the four sacred books of the Indian mythology. With the literal meaning of ‘knowledge of life’, Ayurveda means more than a method of treating illnesses. Holding all these prominent reasons, Ayurveda is known as a common sense science. 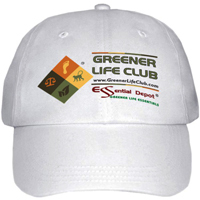 It leads mankind towards a holistic life with the gifts of absolute health, harmony and longevity. The medications prescribed in Ayurveda simply rely on Mother Nature as it trusts that everything on this globe is a vital part of Nature. With this philosophy, Ayurvedic texts denote that all things on earth including human beings are built up with the same 5 vital building blocks of nature. They are fire, air, water, earth and space. Earth stands for the bones and muscles in the body and represents braveness, stability and vitality. Air is responsible for the functions of the lungs, heart, intestines and joints. Ether is found all over the body, where the presence of emptiness and cavity exist. Few parts among them are blood vessels, nostrils, bladder and heart. Fire controls the body temperature, metabolic functions and intellectual power. Water is in charge of the fluid functions of the body, including saliva, blood, plasma and mucus. According to Ayurveda, every individual is a unique entity with a unique individual constitution or Prakriti, which is an arrangement of the 3 biological energies known as doshas. Ayurvedic principles revolve around the pillars of these dynamic forces, which are a combination of the vital elements of nature. They are vata, pitta and kapha doshas. Every person has a predominance of any one of these doshas, which determines the character, personality, health conditions and behavioral attributes of a person. An individual is claimed to be healthy when there is absolute balance between all the three doshas and imbalances between these doshas end up in illnesses. Ayurveda prescribes natural remedies like plant essential oils, herbs, meditation, yoga, prayers, Ayurvedic routine along with Ayurvedic healing techniques like Panchakarma (the Ayurvedic detox techniques), Pranayama (art of balanced breathing), Abhyanga (Ayurvedic massaging) etc. These remedies aim at correcting the imbalances of doshas, prevent illnesses and sustain a healthy life even in the late 60s and 70s. Basil essential oil has heating and neutral energies (virya) and sharp and bitter taste (rasa). It is known for reducing excess of vata and kapha doshas and aggravates pitta dosha. Basil is said to have amazing beneficial effects on the respiratory system, circulatory system, reproductive organs and the digestive system. 1. Alleviates depression, stress and disorders of the autonomic nervous system: Visceral or the autonomic nervous system supports the generation of hormones and its resultant responses in the human system. It controls the vital functions of the system including breathing, salivation, digestion, heart rate, urination, perspiration, respiratory rate, breathing and sexual feelings. 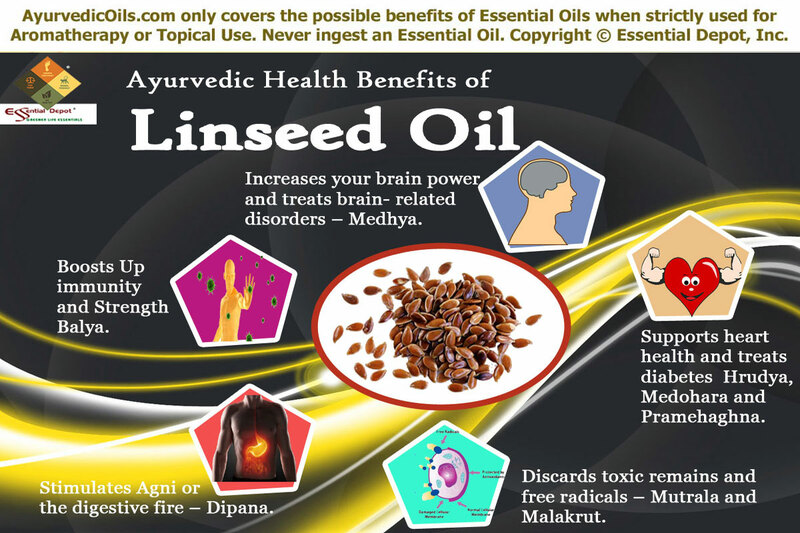 Problems in the functioning of this involuntary nervous system can result in indigestion, breathing problems, heart disorders, improper blood circulation, depression, nervousness, anxiety, headache, sexual problems and kidney disorders. Basil essential oil has a balancing effect on the nervous system. This aids in treating anxiety, stress, depression, nervousness, loss of interest and negative emotions. When inhaled by adding 1 drop of Basil oil, 1 drop of Rose Geranium oil and 1 drop of Lavender oil in diffuser or air freshener, can aid in alleviating stress, inspiring positive feelings, elevating the spirits, augmenting memory power and grant the strength to face challenges. According to the Ayurvedic texts like Charaka Samhita, Tulsi “opens the heart and the mind and distributes the energy of love and devotion. Basil is sacred to Vishnu and Krishna and strengthens faith, compassion, and clarity. Adding 2 drops of Basil oil in bathing water every morning and night helps in bringing in abundant of constructive thoughts, progressive ideas, encouraging feelings and new-fangled energy to face your new day and relax for a peaceful night. 2 drops of Basil oil added to your air freshener in the night can aid in granting absolute solace and calmness. “Basil has strong effects on the emotions, and can be very strengthening when we are suffering fear or sadness”, says Bryan Miller and Light Miller in their book Ayurveda and Aromatherapy. 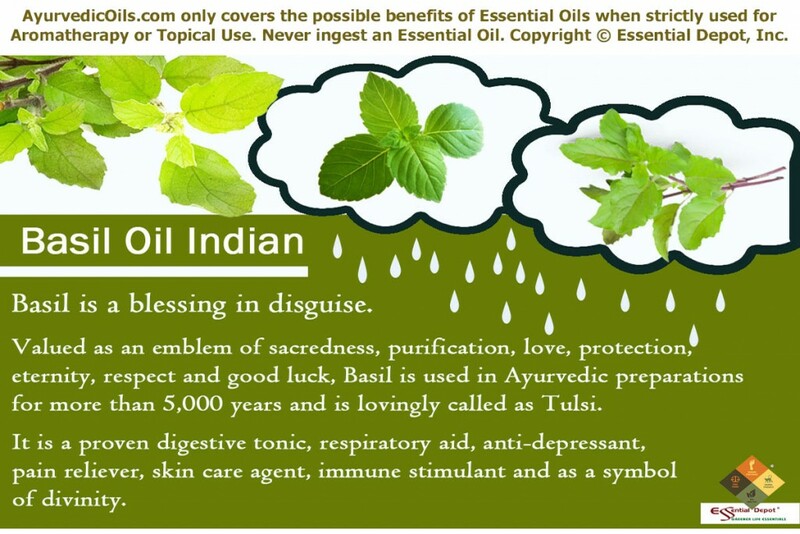 Tulsi is a darling remedy when it comes to the protection of skin from various infections and disorders. With its antioxidant and detoxifying properties, Tulsi acts as an excellent skin cleansing and nourishing agent that gifts your skin with a flawless beauty and younger look. The antifungal and anti-microbial properties of this oil acts as a shield against microbes and aids in the treatment of acne, eczema, scabies, itches, ringworm, athlete’s foot and infectious wounds. The rich presence of Vitamins A and C nourish the skin from within and help in exploring and retaining its natural glow. The book ‘Ocimum sanctum: The Indian Home Remedy In Current Medical Scene’ have talked about various studies, where the essential oil of Basil “has been found to inhibit in-vitro growth of E. coli, B. anthracis and P. aeruginosa proving its anti-bacterial activity.” It is also said that this oil contains anti-viral and anti-fungal properties. Massaging your skin with 2 drops of Basil oil blended with 1 drop of Lemon oil, 1 drop of Bergamot oil and 1 drop of Lavender oil along with 2.5 ml of olive oil helps in removing the dead skin cells, reducing pimples, black heads and fading away marks left behind by wounds and acne. You can also apply this blend on wounds, eczema, psoriasis, athlete’s foot, ringworm, scabies, wounds and itches for quicker healing. Basil has been an important ingredient in numerous Ayurvedic and other herbal preparations for hair care. Take 5 drops of Basil oil, 5 drops of Rosemary oil, 2 drops of Lime oil along with 10 ml of Almond oil and heat this mixture slightly. Massaging your scalp with this herbal blend helps in promoting the growth of hair by strengthening the hair follicles, reducing dandruff, moisturizing dry scalp and rough hair, controlling itching and enriching the scalp. The anti-viral, anti-microbial and anti-malarial properties of Basil essential oil aids in reducing fever. Numerous research studies have reported that Basil oil contains 100 percent insecticidal and larvicidal activities especially against Culex mosquitoes. Massage your foot soles with 2 drops of Basil oil and 2 drops of Lavender oil blended with 2 ml of coconut oil for reducing fever. Adding 2 drops of Basil oil in your air-freshener or diffuser can be of great assistance in keeping away from insects with its insect-repellant properties. The therapeutic properties of Basil oil including its anti-microbial and anti-viral attributes helps in arresting the growth of bacteria, virus and other micro-organisms that worsen cold, cough and other respiratory infections. Mucus and phlegm deposits in the system are again a result of excess kapha dosha. Basil oil is an effective Ayurvedic remedy for lowering excess of kapha dosha that aids in loosening the phlegm and mucus accumulation in the body. 2 drops of Basil oil and 2 drops of Eucalyptus oil added to steam inhalation can grant you instant relief from cold, cough, stiff nose, congestion, sinusitis, whooping cough and blocked nasal passages. You can also massage your chest, back and throat with 1 drop of Basil oil and 1 drop of Eucalyptus oil mixed with your vaporizing ointment for supporting quicker relief. This oil also helps in strengthening the immune system and helps in fighting against infectious and communicable diseases. The essential oil of Basil has anti-diabetic properties that aids in the treatment of diabetes by controlling the level of blood sugar. With its diuretic properties, Tulsi promotes frequent urination through which the toxic elements in the system are flushed out and helps to stay energized. The decoction extracted from the whole plant has been recommended in Ayurveda for lowering the level of blood glucose in case of diabetes mellitus. The presence of eugenol and other therapeutic constituents in this oil are also effective in reducing blood cholesterol and blood pressure. With its antioxidant properties, Basil oil is also known for protecting the heart from the effects of harmful free radicals. Massaging your system with 5 drops of Basil oil, 5 drops of Juniper oil, 5 drops of Myrtle oil and 2 drops of Clove oil along with 20 ml of coconut oil, once in a week can help in controlling blood sugar, blood pressure and blood cholesterol. You can also add 2 drops of Basil oil in your diffuser every day and inhale this magical aroma for enhancing your heart health. The pain relieving quality of Basil oil is attributed to the presence of eugenol. 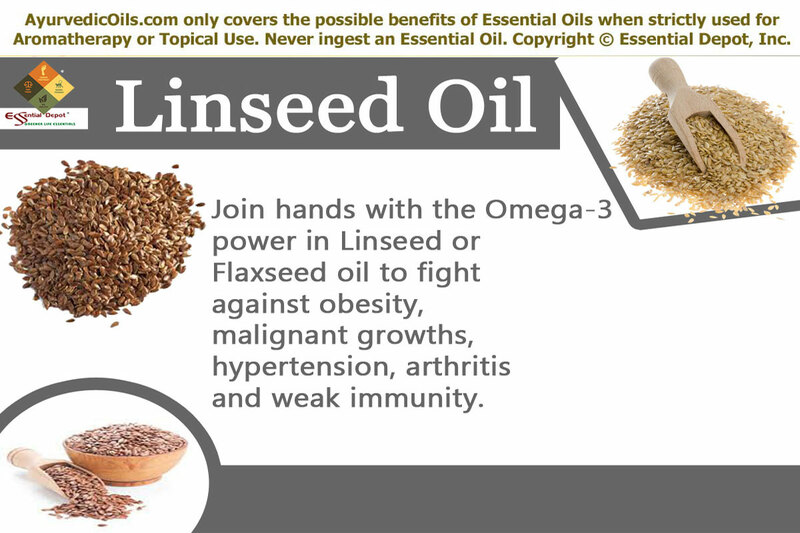 This contributes to the analgesic, relaxant, nervine and anti-inflammatory qualities of this oil. Tulsi oil reduces inflammation and swelling with its kapha reducing attribute. Kapha dosha represents the water element in the body and excess of which leads to the amassing of water deposits, built up of toxic substances, uric acid and salts in the system. Gently massaging the painful and affected parts with 3 drops of Basil oil, 3 drops of Eucalyptus oil and 3 drops of Camphor oil with 5 ml of coconut oil aids in treating pain, rheumatic conditions, arthritis, headache, stiff joints and back pain. This works by spreading heat in the painful areas with its heating energy, induce frequent urination where the excess water deposits and toxic remains in the system are eliminated. 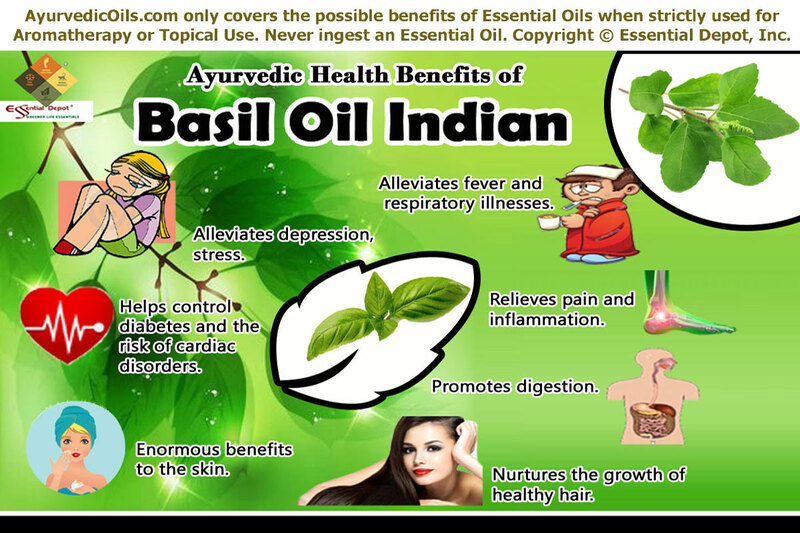 Basil oil has the power to increase ‘Agni’ or the digestive fire in the system with its pitta-enhancing attribute. Pitta dosha symbolizes fire and is responsible for metabolic functions, including digestion, absorption and excretion. Adding 5 drops of Basil oil in warm compress or massaging your abdomen with 2 drops of Basil oil, 2 drops of Lavender oil and 2 drops of Bergamot oil with 4 ml of sesame oil can aid in promoting the secretion of bile, digestive juices and gastric acids. 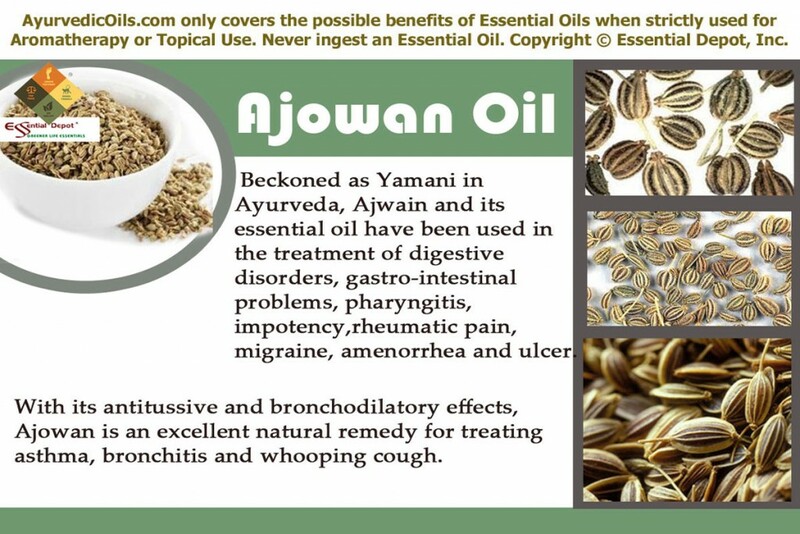 This assists in treating indigestion, formation of gas in the stomach and intestines, vomiting, motion sickness, colic, sluggish digestion and intestinal spasms. 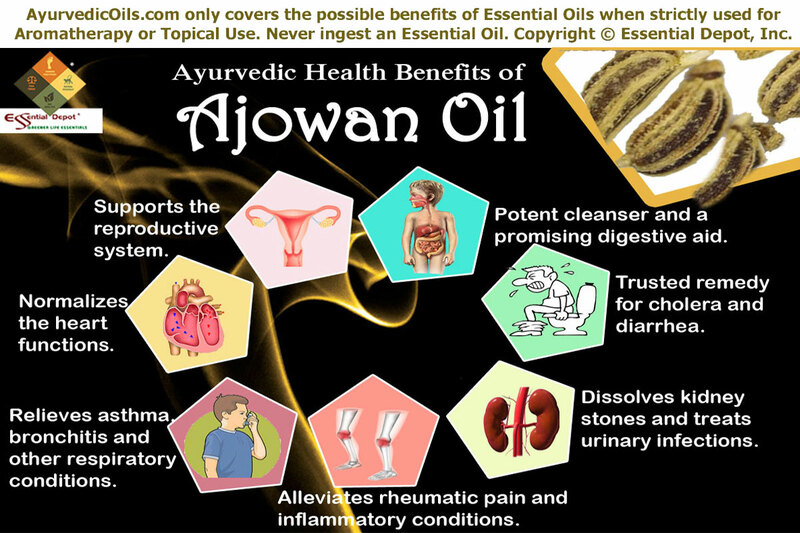 The anti-microbial property of this oil helps in killing germs and harmful micro-organisms in the stomach and intestines. Basil essential oil is also helpful in the treatment of eye problems, oral infections, migraine pain, kidney stones, mouth ulcers, cancerous tumors, Alzheimer’s disease, labour pain and certain other medical conditions. This post is only for the use of education and information. It is not intended for diagnosing, treating or preventing illnesses or substituting expert medical advice or prescribed medicines. We are not medical professionals and this information is shared only for spreading the glory of Ayurvedic remedies, the mother of all healing systems on earth. Never ingest essential oils and always dilute essential oils before using it for topical applications. This is due to the fact that 100% pure and organic essential oils are extremely concentrated substances. Avoid using Basil oil if you are pregnant or a nursing mother as it has anti-fertility and anti-estrogenic effects that may cause harm. 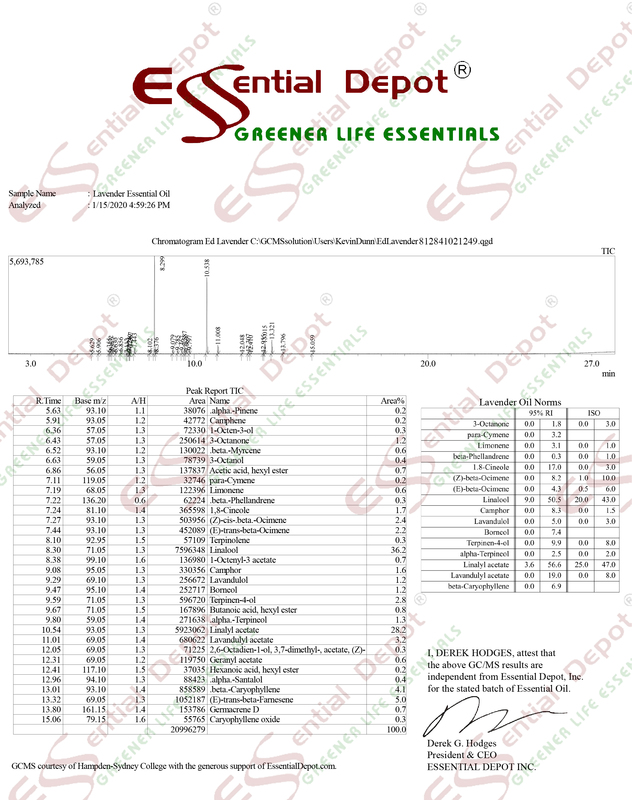 Speak with your Ayurvedic practitioner/ healthcare professional before selecting the appropriate essential oils for your prakriti or unique individual constitution and medical condition. Tulsi Holy Basil: The “Queen of Herbs” in Ayurveda, TCM and Homeopathy (Learning Medicinal Herbs within India’s Ancient Ayurvedic Medicine Book 2) by Ryder Management Inc.